My husband likes to tease that we live in the country. I wouldn’t consider living a quick train ride to NYC the country, but we do live in a nice green suburb. While I love having a nice yard and lots of trees around, I don’t like all the flying bugs that seem to come with that luxury! I’m not a fan of spray-on bug sprays to protect our skin, so I’m always open to alternative bug control solutions like the one I received from ThermaCELL. 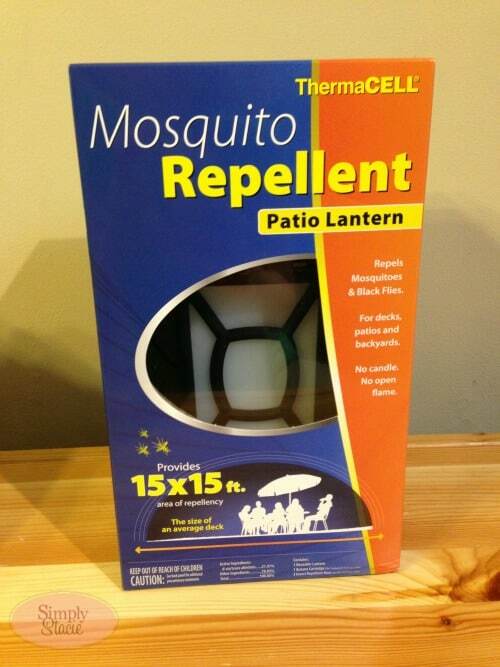 I received a Mosquito Repellent Patio Lantern from ThermaCELL for review. I love the look of this piece, I think it blends well into our patio decor. I like that it’s quiet – there are no buzzing or zapping sounds. What’s great is that there are no open candles or flames, so if it was to get knocked over, you don’t have to worry about burns. I like having it on my back deck and not having to worry about loading up on bug spray when my family and I go out back to eat dinner on the deck or simply just play. I also like the glow of light it gives at night. It really looks so nice in the evening. 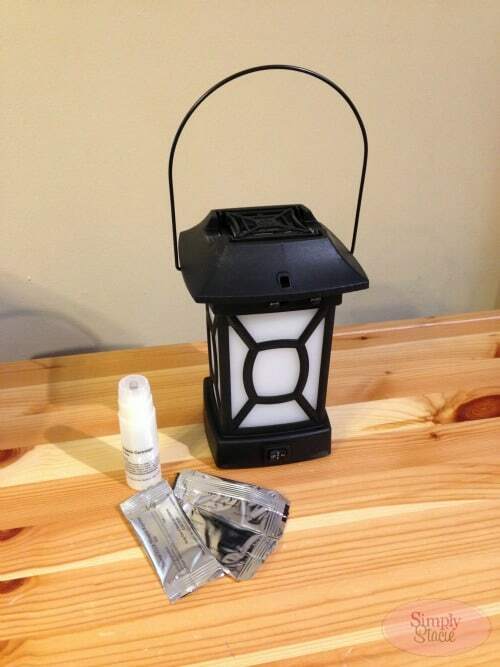 This lantern is powered by a single butane cartridge that reacts with a small replaceable mat, saturated with repellent. The repellent is called “allethrin”, a copy of a repellent that naturally occurs in chrysanthemum flowers. It repels mosquitoes, black flies, and no-see-ums, and will not harm humans or pets. This particular lantern covers the size of an average 15×15 patio deck, is very portable and lightweight, and sells for $29.99 on the ThermaCELL site. ThermaCELL Mosquito Repellent was patented by the Schawbel Corporation in 1999 after rigorous testing in extreme conditions by the U.S. Department of Defense proved ThermaCELL products work as advertised. Their award-winning repellent products have been recognized by leading entomologists and outdoor writers as the solution to making outdoor activities enjoyable. ThermaCELL is sold in 23 countries in North America, Europe, Africa, and Australia. To learn more about ThermaCELL, and to find a retailer near you that carries their products, check out their website. You can also find them on Facebook, Twitter, and YouTube. I’ve been looking for something to combat the mosquitos. Lately they’ve been SOOO bad that it’s not fun to go outside. I’ll have to check into getting one of these for our patio. I love how nice they look! 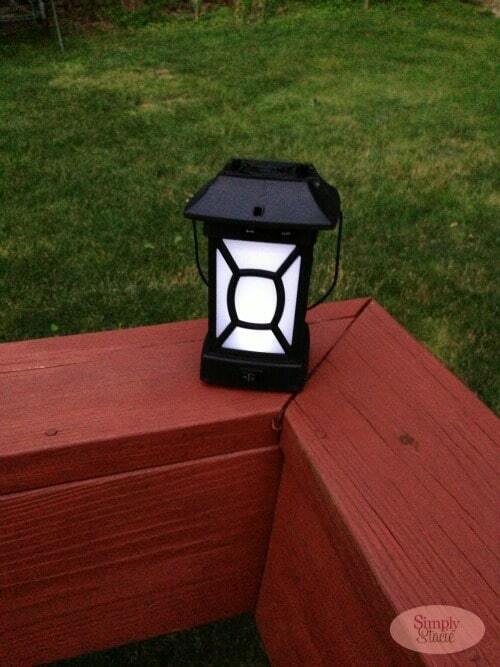 They don’t look like anything more than a decorative lantern….. much nicer than any other beg repellent items on the market. I like that it doesn’t need to be plugged in or have a candle burning in it. I always worry about walking away from those kind of things. I’ll be checking this out for sure. Bad summer for mosquitoes. I like that its a safer way to repel moquitos! Always looking for a better effective mosquito repellent and will check this out, thanks! I will be checking this out. Lots on mosquitos this year around the garden. I have one and they work great! I would love one for camping as well. I love pesticide free alternatives to mosquito and fly control, and it looks like this is another great idea. To have that big an area be bug free is fantastic, especially without harmful lotions or sprays. I am curious to know, though, does this have a strong smell? Personally, the smell of chrysanthemums can be quite overpowering, and I do wonder how much of it you would actually smell, considering other repellents like citronella can be very potent.Thank you for the review, I will be looking for this for my next BBQ.